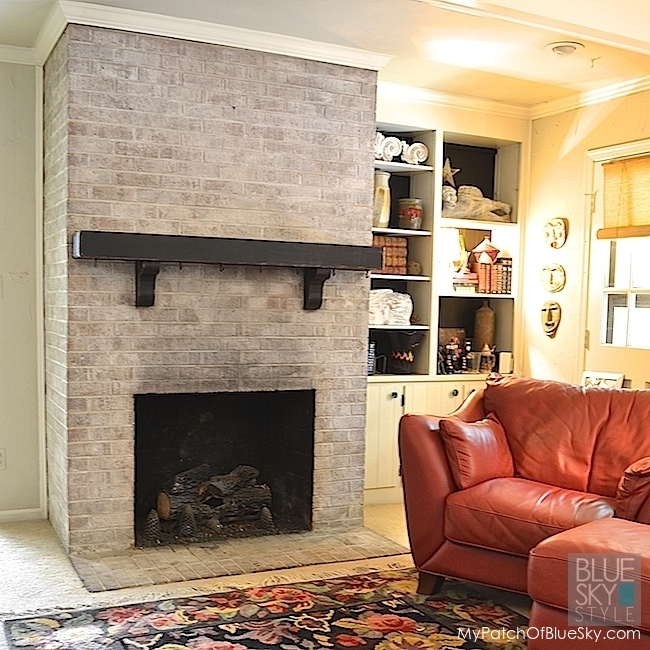 Want to learn How To Paint A Brick Fireplace? This guest post is written by the fabulously talented Debbie Hayes of My Patch of Blue Sky. 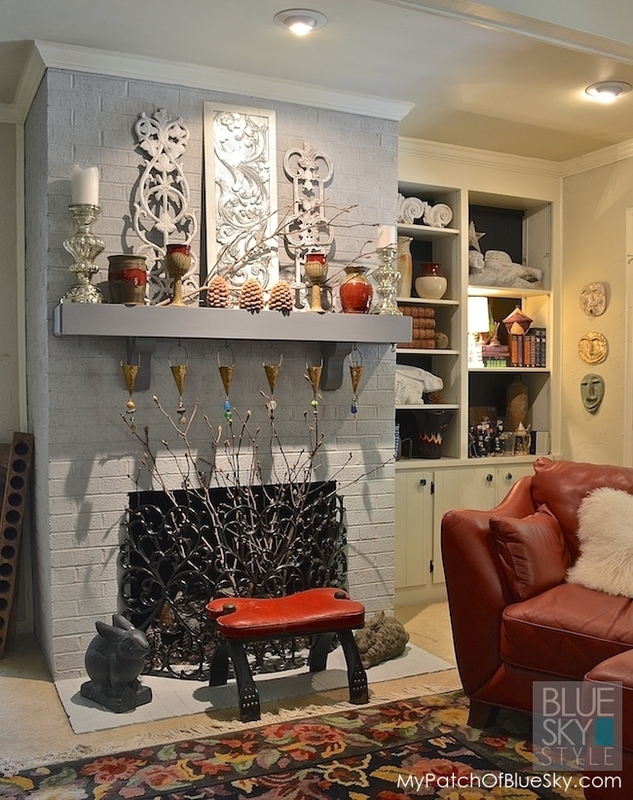 “Our home is in central North Carolina, where brick is the typical material for houses. Here, our dirt is not gorgeous, dark, and rich. It is, well, clay. Hard, red, and perfect for making bricks. It’s a good thing, because it is so durable. It’s sometimes a bad thing because, in homes built in the 1970s like ours, it is often dark and ugly when used for interior fireplaces. Where we live, every home in the neighborhood has a very dark, paneled den with dark stained paneling, trim and beams in 8′ foot ceilings. All of this creates a seriously dreary room. Years ago, I painted all of the dark stain off-white in an attempt to lighten up. It was a tremendous improvement, since we have huge poplar trees in the back yard where the den faces, and it never gets direct sunlight. 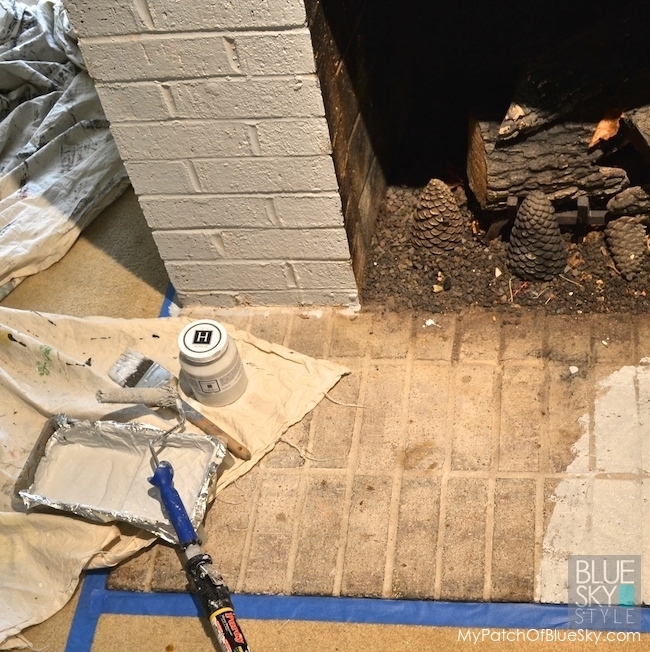 I asked Steve recently about his thoughts on painting the fireplace. His typical guy answer was, “I never think about it.” Clearly, I am on my own here. 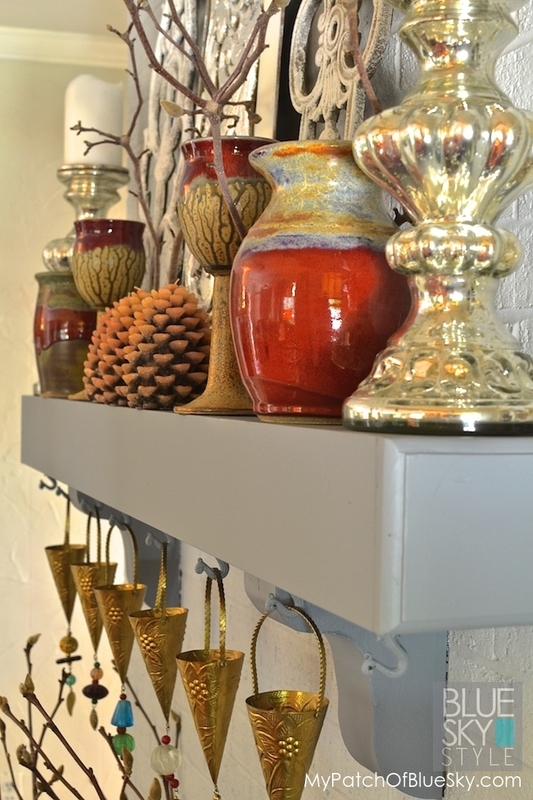 So, while he was off on a guys’ golfing trip last weekend, I swooped in, cleared off the mantel, and went to town with a roller and some Fusion Mineral Paint to transform the room with a fresh, new look. 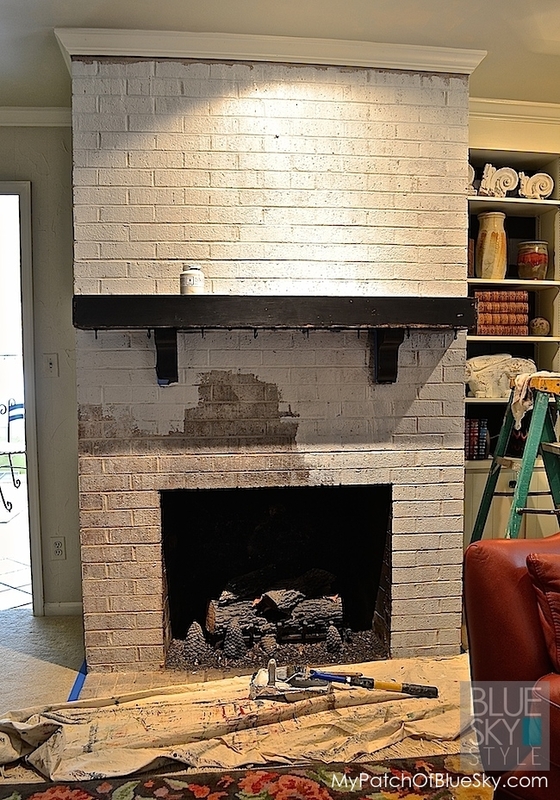 Soon, I am going to remove the ugly plaster finish on the walls and paint them white, so I chose the color Sterling Fusion Mineral Paint to paint the brick. It’s light, on the cool side, and only one coat did the job! All I needed was a small fuzzy roller, a pan, some painters tape, and a brush to cut in. I happened to have a small roller extension too, which made this job even faster. The hearth did need some cleaning, and the fire box had some odd stuff from broken Christmas decorations that had to be removed. 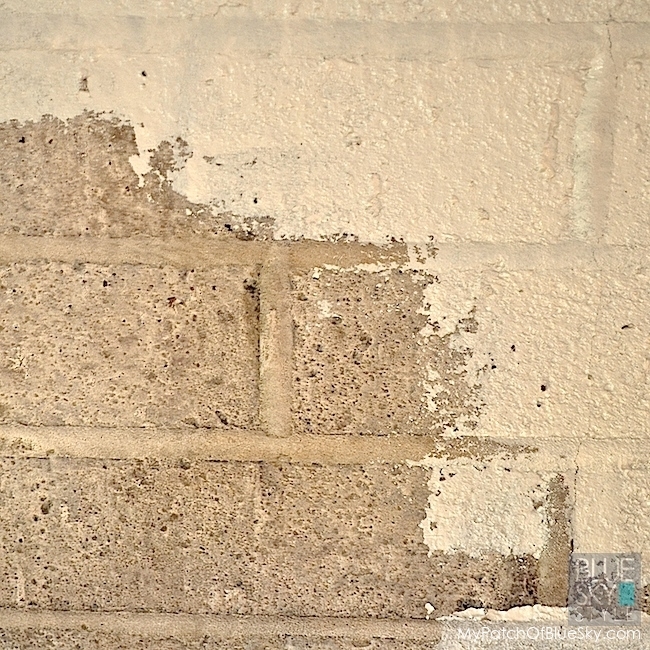 But very quickly, it was evident that the Fusion Mineral Paint was doing a smashing job of covering up the dirty old brick in short order! Pretty amazing. This is one coat. 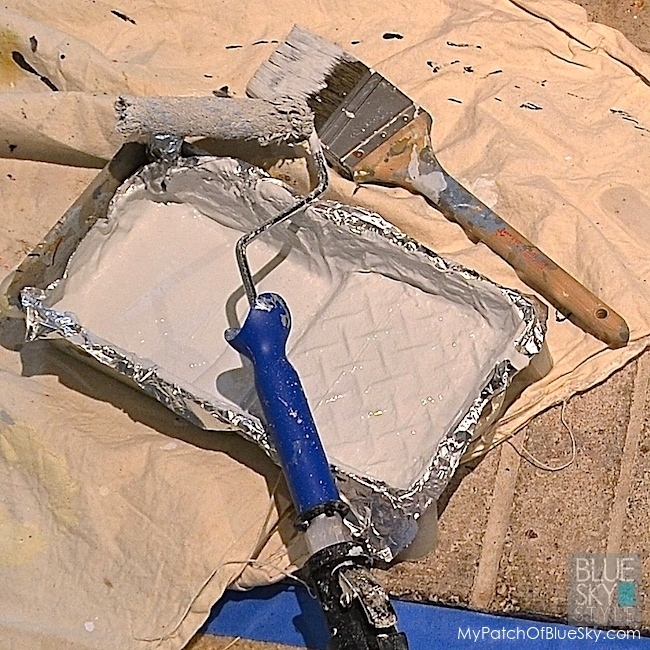 I used about one and a half pints which was less than expected, since the brick does soak up paint. I like that the finish has a very slight sheen, and it is not thick. 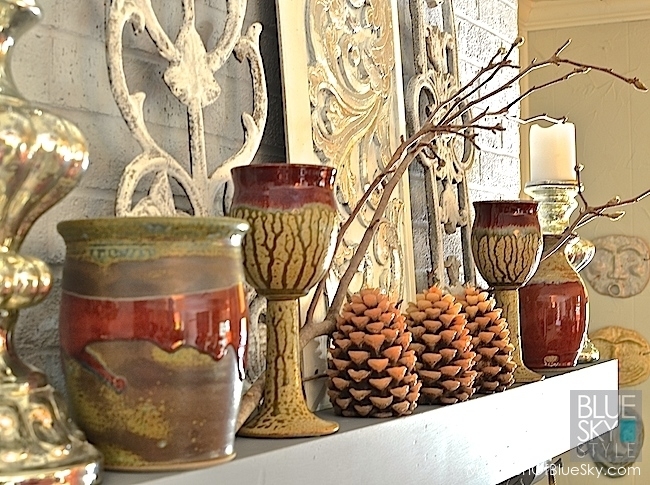 Once I had a lot of the surface covered, there was no doubt that I wanted to paint the mantel too, to get rid of the the distressed look. 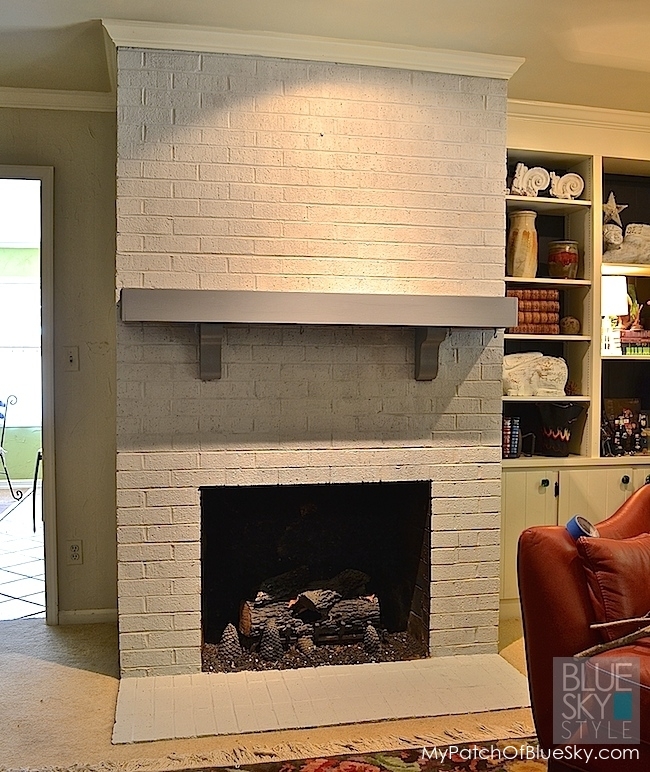 I wanted the new look to be more updated, with less contrast between the brick and the mantel colors. While the Sterling was drying, I simply poured some Ash color into the pan, so that there was about 2 parts Sterling to 1 part Ash. It made a really pretty, slightly darker, grey. I painted on two coats and Voila! 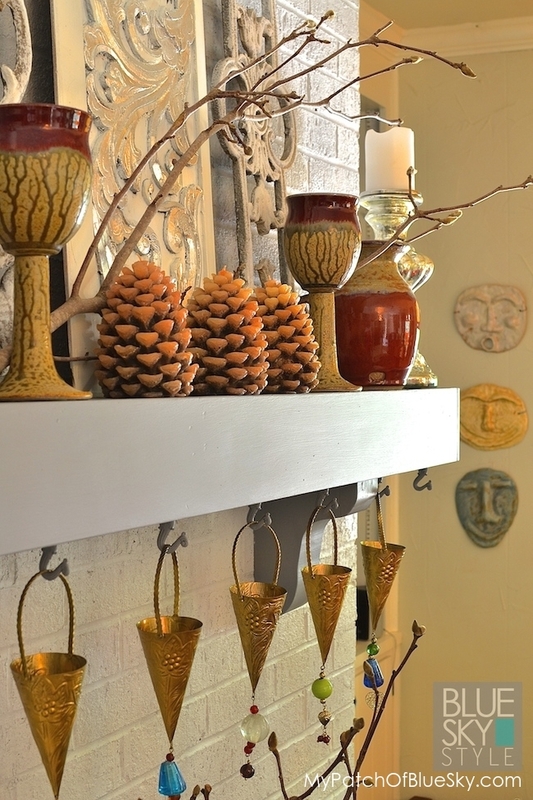 Once I added our summer mantel treasures of pottery, silver mercury glass candle holders, heavy cast iron found objects and more, the look I was going for was complete. Complete with a decorative scroll screen, branches and a leather stool. So did Steve even notice? Oh yeah. Right away. Exciting, from the same hubby who thought I had “cleaned up” one time after I had painted the ceiling, trim, doors and walls in my office. Funny. It’s a guy thing, right? 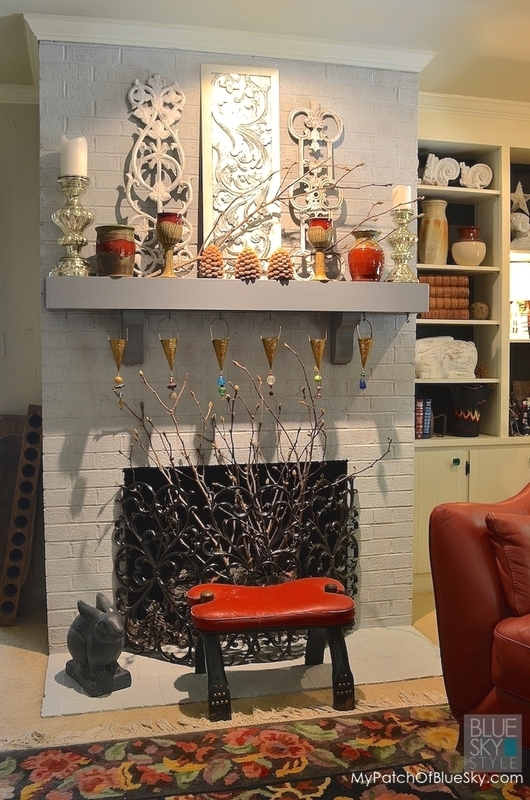 Are you inspired and anxious to give your fireplace a new look? It doesn’t even have to be brick. 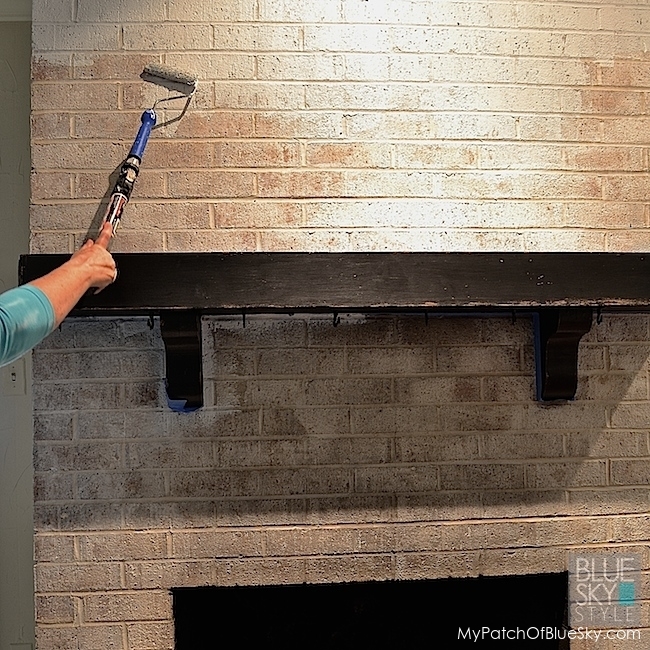 Stay tuned, because next I am going to show you how to use some textured Fusion products and a Fusion brick stencil to turn drywall into amazing-looking faux brick! Perfect for your fireplace or a focus wall.